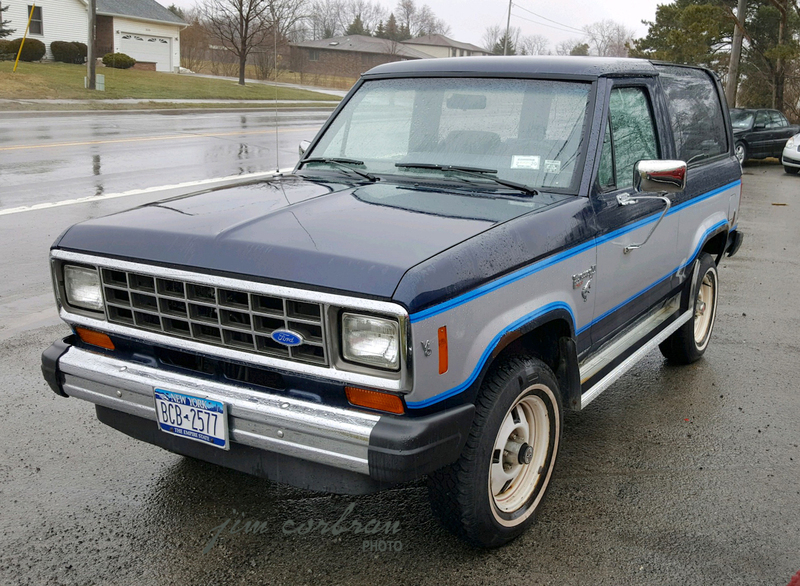 This 1985 Ford Bronco II is a rarely-seen (these days) compact SUV which the Blue Oval company brought out for 1984, based on the new compact Ranger pickup platform. The original Bronco, introduced for 1966, had by this time grown much larger and was now based on the full-sized F-150. 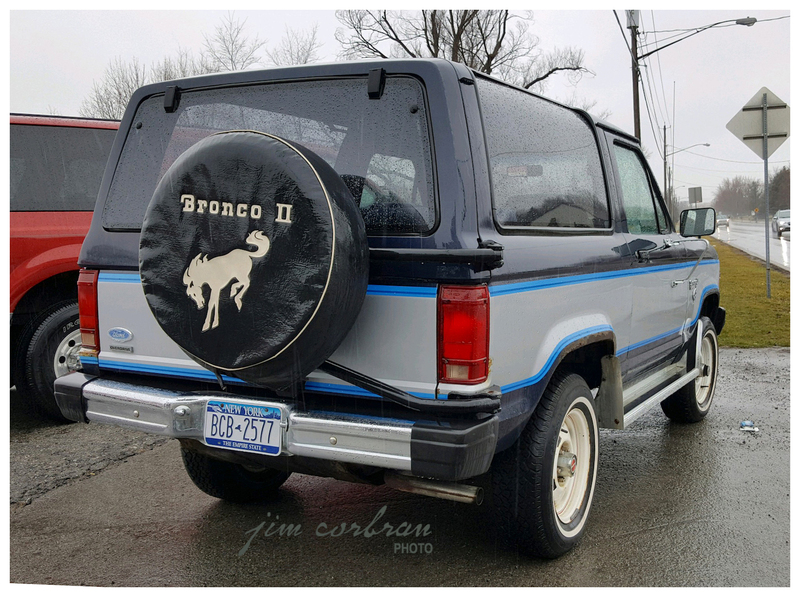 The Bronco II would eventually give way to the Explorer, and the mainstream SUV craze was up and running… Saw this one a couple of months ago in Niagara Falls.